Petit Jean 2018 ... The RV Gathering is ON! Pending any weather issues, I plan on coming in Thursday. I'd like to arrive early enough to help as needed. Looking forward to another great weekend on the mountain! Help as needed .... man is that music to our ears We're planning another really casual dinner gathering over at Mather Thursday night for the worker bees after a hard days grind! AND here is the gooood news! Even though Mather is a state park run restaurant, they have added COLD BEER and wine to the menu! It's going to be a great weekend on the Mountain! Bummed work’s not gonna allow even a short PJ for me and a kiddo this year . On the other hand, if cleanup lasts into Mon/Tues I may be able to be one of the Indians on the backside. Let me know! 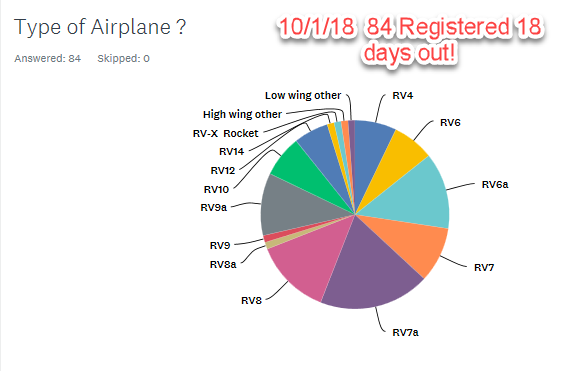 UPDATE .... 10/3/18 3 weeks out and we have over 80 RV's registered. As of 10/3/18 5:00 PM CST There are 4 rooms open and a 3 bedroom house at Cedar Falls for the weekend. The 3 br is nice, several of us will be staying there Thursday. All rooms at the RCC are full, Mather is full, but some left at Cedar Falls. 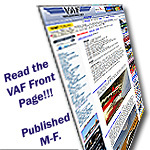 We're got a great venue this year and some new flying events that should be very entertaining. Bring a friend and come to the Mountain. Plenty of camping still available! See you at Petit Jean! Please be sure to use the online registration. Links below! Last edited by BillSchlatterer : 10-03-2018 at 09:37 PM. 10 Days Out ... WX is looking good! IT’s… Petit Jean Time and the RV Gathering is ON ! 10 days out!  We’re counting down the days and final preparations are in full swing. The 10 day forecast below under “Smiles” is AWESOME! The grass is almost cut, the menus are almost complete, the campground is almost perfect, and the Petit Jean Indians are all over prepping for the best RV Gathering ever! Based on our registrations, it’s going to be a full full house. The RCC is full, Cedar Falls has three rooms and a three bedroom left, and Mather is full as well. What is open is the CAMPGROUND and what a great place to be. We currently have 20+ registered to camp and that means it will be a pretty special place to be when the stars come out. That count could double with the right weather forecast and what a party. This time next week, we expect 180+ folks will be packing bags, topping off the gas tanks, washing off the bugs, topping off the oil, and updating the GPS. KMPJ is where the RV Happening is happening! The south end of the airport is looking like a golf course and when I say cut like a golf course…..well… those are golf balls in the picture. By now, you have been to the website, understand the arrival, know the shuttle schedules, have your hiking trails picked out, decided on which horseback ride to take, maybe even thinking about canoeing on Lake Bailey! Canoes are about 200 feet from the campsites? Anyone interested? And to top it all off…. A NEW EVENT ! If you have been before, you know that Saturday afternoon is full of ramp games, fun flying, formation flights, RV Acro and now a new event! If the winds are calm, there will be a very well planned and executed aerial massacre of helium filled balloons by some dashing, skilled, brave, probably not so good looking, yet to be determined champions from your local area. Anyone can participate, you can be your group hero! We are hoping to have representatives from the four corners… Texas, OK, North and East … Petit Jean of course being the center of the world! Pick your champion and cheer them on! There is a traveling trophy, a cash prize, and best of all …. GLORY to the hero aviator! :--) . We plan to put 6-7 planes into a 14 mile racetrack at 2 mile intervals and give each three shots at busting a 2 foot wide rising helium filled balloon right in front of the ramp. The Petit Jean Gun Run …. constant airspeed of 120 MPH and balloons a minimum of 300 feet AGL. Open mic radio! The whole event should take 18 minutes per heat! Think of this as a shootout with the Best Balloon Killer on the RV Mountain….sitting on the ramp, drinking your cool-aid, and cheering them on. The perfect viewing spot, pick the winner and split the whole pot! It meets our three minimum criteria for a PJ event… it’s safe, it’s fun, and it’s RV Easy! Many, many, many, details to follow….but pick your champion and get ready! THE THURSDAY BEFORE …. (Oct 18) We have had a number of folks volunteer to come in on Thursday the 18th to help or hang out and occasionally beat the weather. The PJ Indians will be there about 9:00 AM Thursday to get it all cranked up, set up, and put the finishing touches on the airport. Last year we had a surprise arrival dinner at Mather for 40 and the best surprise this year is that they are now serving beer and wine :--) along with dinner. IF you are coming in Thursday, please let me know for sure so that we can be sure we can put a roof over your head and a biscuit on your plate :--) Tell me again because I have part-timers most times. :--) Thursday has turned into a completely unplanned and tons of fun day getting ready for the crowd on Friday. Everyone is welcome to push a lawnmower, set up lighting, pick up sticks, mark off taxiways, and then have a cold one on the ramp with us as the sun goes down. All in all a really nice day with PJ friends. As always, the only thing that we want you to do for absolutely sure is to please register online NOW so that we can be prepared THEN. If you register, you are guaranteed a parking place :--) and we understand WX cancellations. Lodging wait lists …. Yes we have one and yes we expect to find a room for anyone that wants to come…. Probably :--) But hey, how will you know if you don’t let us know ?? If you think you are on the wait list and haven’t been contacted by Friday, please please let me know. Again, I think Cedar Falls Motel still has a room or two. If you want on the list, contact me now. Campers …. All you need to do is register online and file your flight plan. We always have room for campers. As always, sponsored by local EAA Chapter 165 KORK North Little Rock! Your RV buddies, the Rockefeller Conference Center, and a host of other helpers! Cedar Falls Motel (501- 727-5636 Patrick or Maria) a very laid back, 60’s style circle court motel. It’s fun, clean, reasonable and on our transport route. Way better than missing the FlyIn. Currently have 97 aircraft registered. . Holding a wait list for rooms but camping is still wide open.